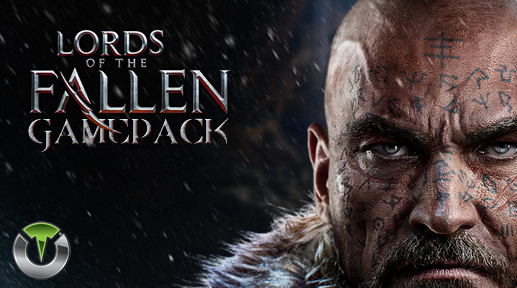 The Lords of the Fallen Gamepack for Titan One has 8 MODs specially designed to make your life in this Souls like game much easier. Player LED 1: Controller in regular mode, all MODS are disabled (Blue on DS4). Player LED 4: MODS are enabled (Purple on DS4). PS3: Hold SELECT+START for 2 seconds to enter in menu mode. PS4: Hold SHARE+OPTIONS for 2 seconds to enter in menu mode. XBOX 360: Hold BACK+START for 2 seconds to enter in menu mode. XBOX ONE: Hold VIEW+MENU for 2 seconds to enter in menu mode. Important: Always keep the SELECT/SHARE/BACK/VIEW button pressed while in Menu mode. To exit the menu mode, release the SELECT/SHARE/BACK/VIEW button. Player LED 4 will blink the number of current Class (DS4 will flash purple). Player LED 3 will blink the number of active MOD for current Class (DS4 will flash green). If the Player LED 3 is not blinking means no MOD is selected for the current Class, see below how to navigate between Classes and MODS. Add combo sequence to the right fast attack (R1/RB) action. A single tap on fast attack button will perform its original action. Hold down the button performs the combo sequence chosen. Add combo sequence to the right strong attack (R2/RT) action. A single tap on strong attack button will perform its original action. Hold down the button performs the combo sequence chosen. Perform the Guard Break and Jump Attack actions reliably by holding down the handhold toggle button plus fast attack (R1/RB) for Guard Break or strong attack (R2/RT) for Jump Attack. The handhold toggle action (one/two handed) is executed normally when the correspondent button is pressed and released quickly. Assigned to L3/LS button, this MOD automatically executes the sequence of sprint and rise the shield for bash attack. Stronger the right hand weapon, more damage the bash attack will inflict. Automatic perform left and right swings when dual wielding weapons. If enabled, this MOD is activated by holding down the left weapon attack button. The timing between swings can be adjustable. Check the menu system instructions above for more information on how to adjust the timing in this mode. Hold the Evade button while running to Sprint. If you double tap the Evade button while sprinting you will perform a jump. This is useful for getting across difficult terrain. Hold down the evade button to sprint. **Only works with Alternate controller layout. Select the same button layout you have chosen in the game configurations. With this MOD you can change the game controller layout to match the Dark Souls or the God of War buttons assignments. The God of War layout has the advantage to use sprint, roll and jump without loose control of the camera. Dark Souls Controller Layout. **Only works with Alternate controller layout. God of War Controller Layout. **Only works with Alternate controller layout.